Ramadan is a month that brings out the best in everyone. 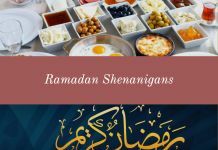 The daytime fasting allows us to be more mindful of God and on the other hand, the festivities of the month are unmatched. 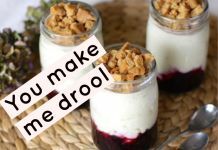 There is no denying that this is a holy month and provides us with an opportunity to be blessed but there is also no denying that this month brings out the ultimate foodie in all of us. 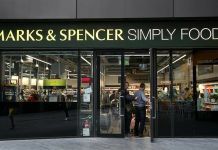 People in the food business are well aware of this fact and every year they come up with such deals that it is hard for us poor beings to not swoon over them. 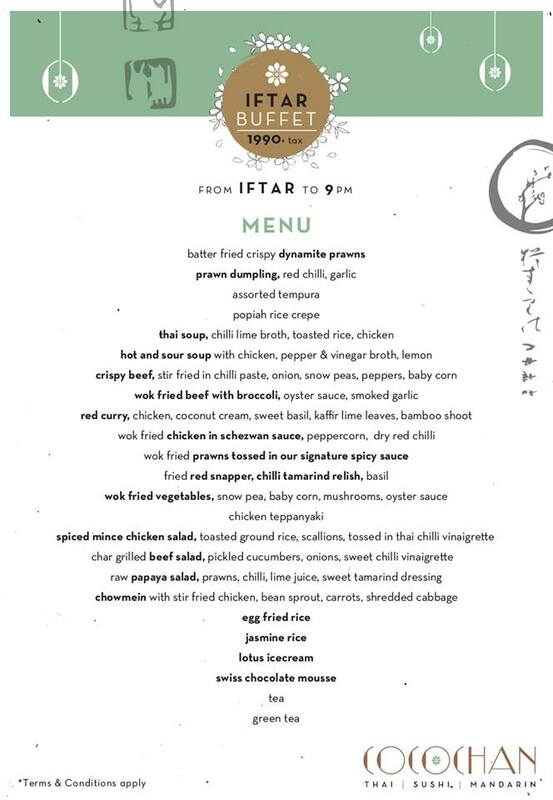 It is not any different this year; a lot of eateries in Karachi are offering amazing deals for iftar, dinner and even sehri. Let’s take a look on some of them. 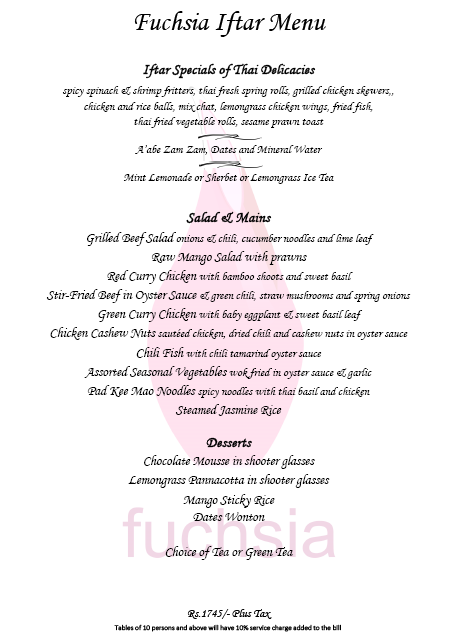 Cocochan is offering a wide range of Thai and Chinese cuisine. Their iftar buffet is mouth watering with amazing variety. 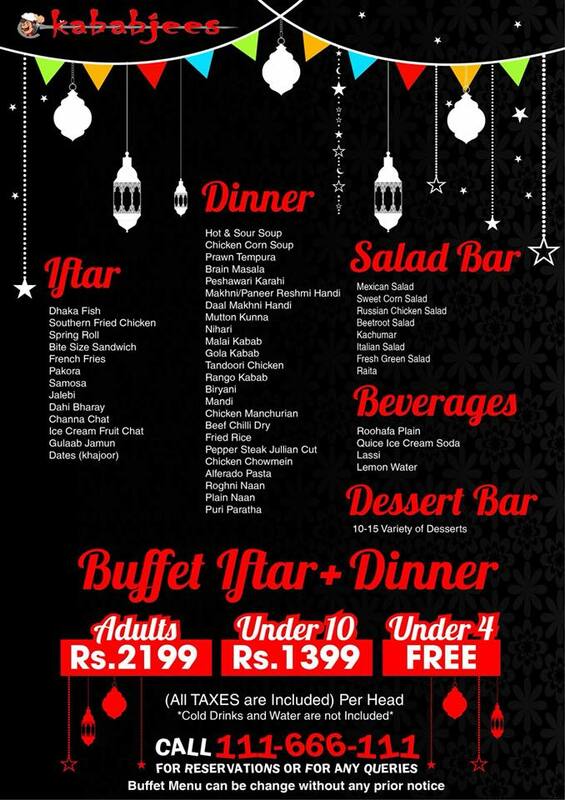 The Do Darya branch of Kababjees is also having a discount on iftar+dinner buffet. There are some terms and conditions with the deal so it’s better to check their official webpage before going. The Deli is offering a range of continental and desi cuisine in only Rs. 1950 per head. 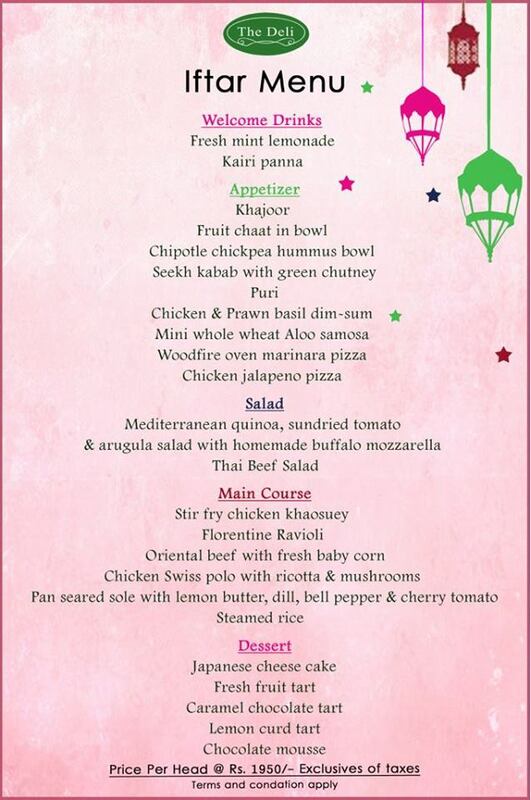 The Iftari menu of Café Chatterbox is mouthwatering. They are offering the delicacies in reasonable rates. A lot of a la-carte restaurants are offering buffets in Ramadan. The list includes Fuchsia. 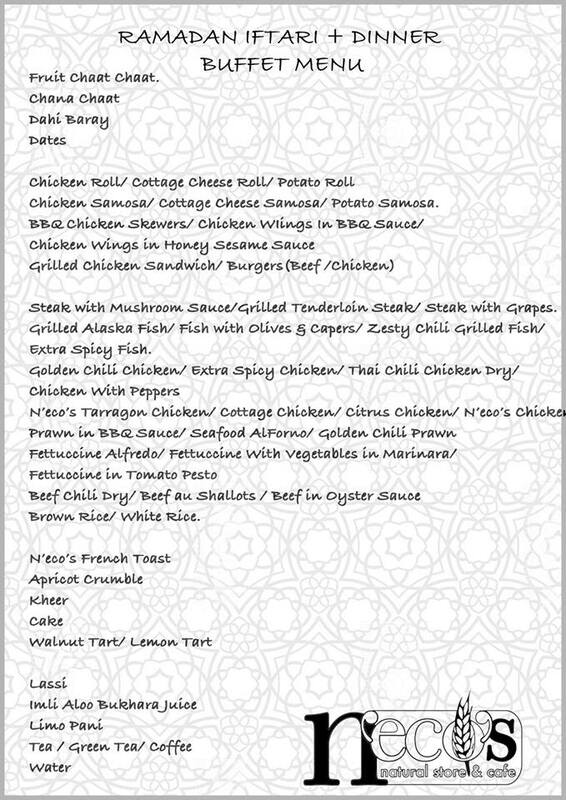 The restaurant is providing a good range of iftar and dinner items. Lals Patisserie doesn’t see the need to run in a buffet marathon. 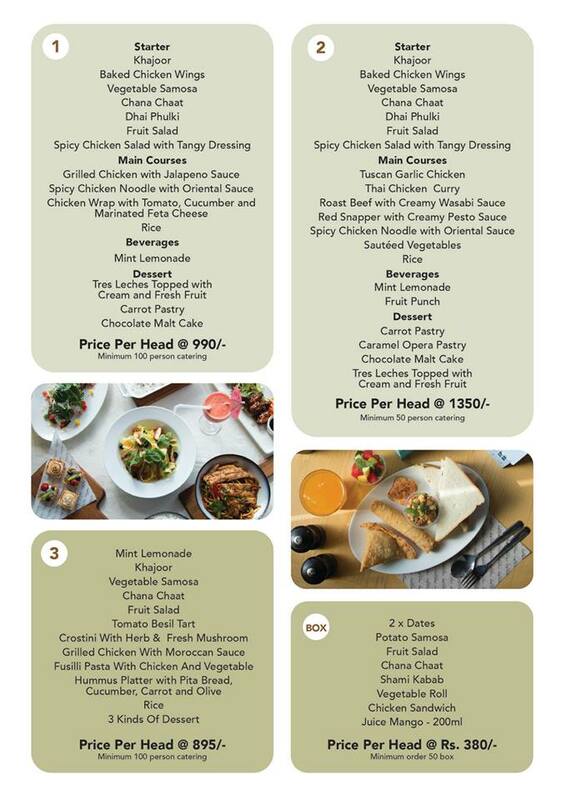 They are offering some awesome deals for iftar and dinner. 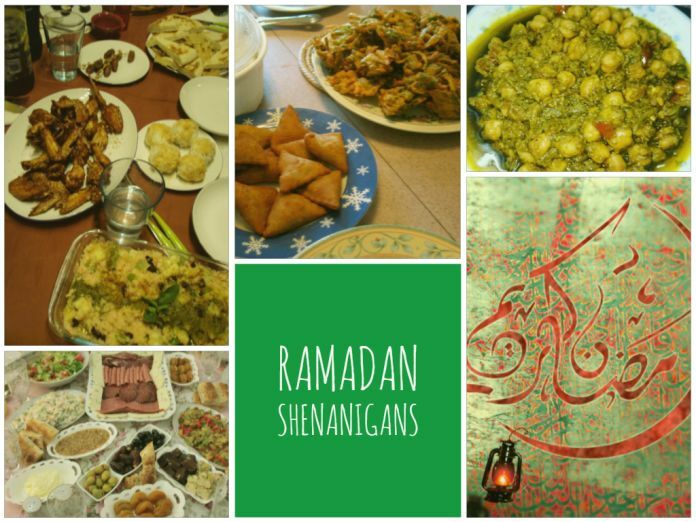 These are just a few; there are a lot of restaurants with great deals in Ramadan. Wait for us to update you again and meanwhile try this amazing recipe; how to make watermelon popsicles.